These are some known potential sites for human colonies where there is some scrap of scientific evidence that they might actually be suitable. 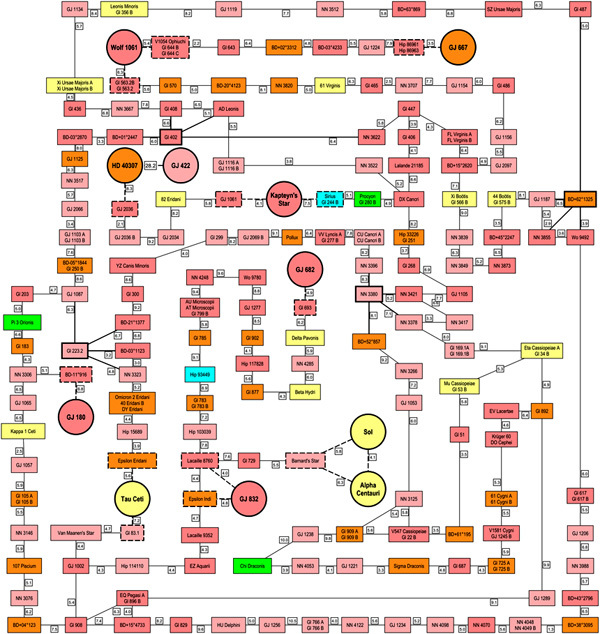 RED ZONE: inside the system inner limit. No planets allowed (except Hot Jupiters). YELLOW ZONE: terrestrial planets that are too hot for life as we know it. GREEN ZONE: circumstellar habitable zone. Terrestrial planets that are just right for life as we know it. LIGHT BLUE ZONE: terrestrial planets that are too cold for life as we know it. DARK BLUE ZONE: gas giant planets too cold for life as we know it. 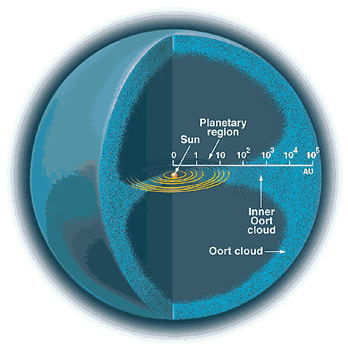 SYSTEM OUTER LIMIT: no planets allowed further than this. In the near term days before the invention of faster-than-light starships, our own Solar System will be the focus of colonization. Solar system details, maps, regions, spherical bodies. Naturally colonizing the solar system is a lot easier if there is in place plenty of space infrastructure. Especially businesses catering to colonists. In the "disadvantages" section for each location, you can take it as a given that there is no naturally occuring breathable atmosphere. I'm not going to bother adding it to each entry. 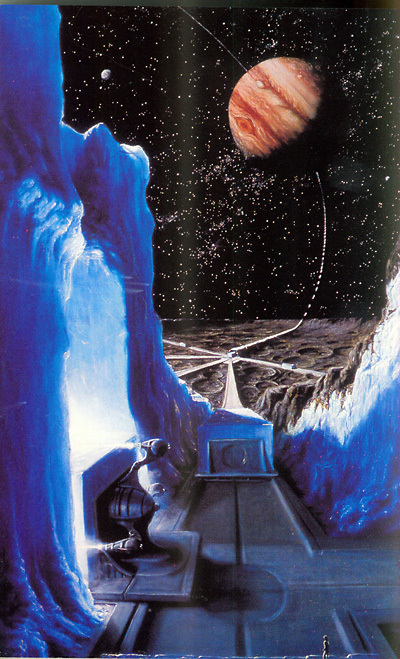 Jim Shifflett has an in-depth analysis here of a the pros and cons of a Mercury colony. He goes into much more detail than I do. Crust is probably rich in iron and magnesium silicates. Mercury possibly has the highest concentration of heavier elements in the solar system. 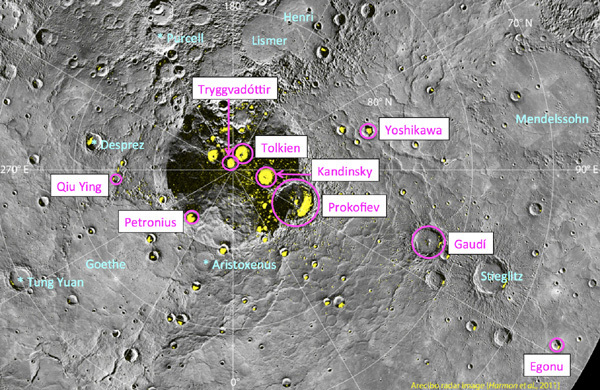 There is some evidence that the polar areas have ice and other volatiles hidden in permanently shadowed craters. There certainly isn't any closer to the equator, the solar heat will vaporize it like snowflakes under an acetylene torch. The solar constant is a whopping 6.3 to 14.5 kW/m2, or an average of 6.5 times that of Terra. This makes for abundant solar power. Since Mercury's axial tilt is so low (0.01°) there is a possibility of polar peaks of eternal light. Mercury is the most expensive planet to soft-land on in the solar system (3,006 m/s delta V). All other planets either have lower gravity (for a lower energy cost) or possess an atmosphere usable for aerobraking (which gives you free delta V you don't have to pay for with rocket thrust). Mercury is deep within Sol's gravity well, which increases the delta-V cost to travel to and from. The solar heat can drive temperatures on the equator up to 700 K (427°C), hot enough to melt lead. The equatorial day-night temperature variation will be hard on equipment and habitats. Polar temperatures only get to 273 K (0°C) which is more reasonable for a habitat. Be aware that there is a lot of science fiction written before scientists discovered that Mercury was NOT tidally locked to the sun with a permanent brightside and darkside. Pre-1965 mostly. The classic is Alan E. Nourse's short story Brightside Crossing, which is still a very entertaining read. Scientists discovered that Mercury actually rotations in a 2:3 resonance with Sol. Sorry, Alan. 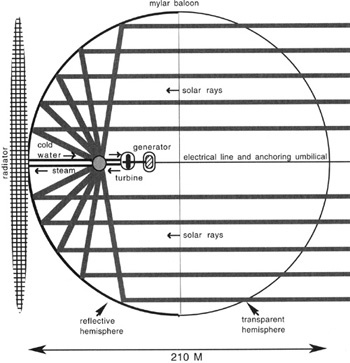 There are a few post 1965 SF stories where the equator of Mercury is totally plated over with solar power cells, generally place by Von Neumann self-replicating machines. This is to provide incredible amounts of energy for some great undertaking, which generally turns out to be the large scale production of antimatter. I don’t think any of us really trusted the Nerva-K under our landing craft. Think it through. For long trips in space, you use an ion jet giving low thrust over long periods of time. The ion motor on our own craft had been decades in use. Where gravity is materially lower than Earth’s, you land on dependable chemical rockets. For landings on Earth and Venus, you use heat shields and the braking power of the atmosphere. For landing on the gas giants—but who would want to? The Nerva-class fission rockets are used only for takeoff from Earth, where thrust and efficiency count. Responsiveness and maneuverability count for too much during a powered landing. And a heavy planet will always have an atmosphere for braking. For Pluto, the chemical jets to take us down and bring us back up were too heavy to carry all that way. We needed a highly maneuverable Nerva-type atomic rocket motor using hydrogen for reaction mass. And we had it. But we didn’t trust it. For a long time nobody—not even Conrad Taylor—spoke a word. All the members of the Committee were marshalling their thoughts about those difficult people the Hermians, so ably represented here by their Ambassador. To most people, Mercury was a fairly good approximation of Hell; at least, it would do until something worse came along. But the Hermians were proud of their bizarre planet, with its days longer than its years, its double sunrises and sunsets, its rivers of molten metal. By comparison, the Moon and Mars had been almost trivial challenges. 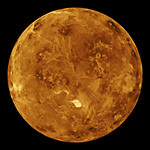 Not until men landed on Venus (if they even did) would they encounter an environment more hostile than that of Mercury. And yet this world had turned out to be, in many ways, the key to the solar system. This seemed obvious in retrospect, but the Space Age had been almost a century old before the fact was realized. Now the Hermians never let anyone forget it. 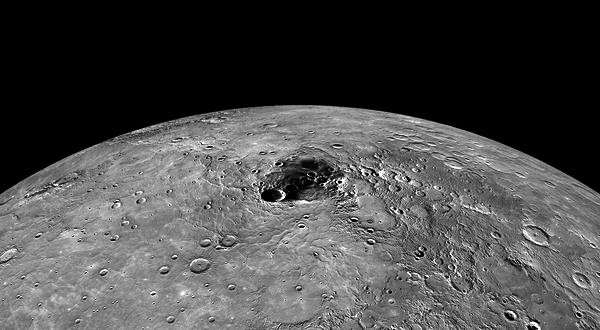 Long before men reached the planet, Mercury’s abnormal density hinted at the heavy elements it contained; even so, its wealth was still a source of astonishment, and had postponed for a thousand years any fears that the key metals of human civilization would be exhausted. And these treasures were in the best possible place, where the power of the Sun was ten times greater than on frigid Earth. Unlimited energy, unlimited metal; that was Mercury. Its great magnetic launchers could catapult manufactured products to any point in the solar system. It could also export energy, in synthetic transuranium isotopes or pure radiation. It had even been proposed that Hermian lasers would one day thaw out gigantic Jupiter, but this idea had not been well received on the other worlds. A technology that could cook Jupiter had too many tempting possibilities for interplanetary blackmail. That such a concern had ever been expressed said a good deal about the general attitude towards the Hermians. They were respected for their toughness and engineering skills, and admired for the way in which they had conquered so fearsome a world. But they were not liked, and still less were they completely trusted. At the same time, it was possible to appreciate their point of view. The Hermians, it was often joked, sometimes behaved as if the Sun was their, personal property. They were bound to it in an intimate love-hate relationship—as the Vikings had once been linked to the sea, the Nepalese to the Himalayas, the Eskimos to the Tundra. They would be most unhappy if something came between them and the natural force that dominated and controlled their lives. Some psychologists had claimed that it was almost impossible to understand fully the mentality of anyone born and bred on Mercury. Forever exiled from Earth by its three-times-more-powerful gravity, Hermians could stand on the Moon and look across the narrow gap to the planet of their ancestors, even of their own parents, but they could never visit it. And so, inevitably, they claimed that they did not want to. They pretended to despise the soft rains, the rolling fields, the lakes and seas, the blue skies—all the things that they could know only through recordings. Because their planet was drenched with such solar energy that the day time temperature often reached six hundred degrees, they affected a rather swaggering roughness that did not bear a moment’s serious examination. In fact, they tended to be physically weak, since they could only survive if they were totally insulated from their environment. Even if he could have tolerated the gravity, a Hermian would have been quickly incapacitated by a hot day in any equatorial country on Earth. Yet in matters that really counted, they were tough. The psychological pressures of that ravening star so close at hand, the engineering problems of tearing into a stubborn planet and wrenching from it all the necessities of life—these had produced a spartan and in many ways highly admirable culture. You could rely on the Hermians; if they promised something, they would do it, though the bill might be considerable. It was their own joke that, if the sun ever showed signs of going nova, they would contract to get it under control—once the fee had been settled. It was a non-Hermian joke that any child who showed signs of interest in art, philosophy or abstract mathematics was ploughed straight back into the hydroponic farms. As far as criminals and psychopaths were concerned, this was not a joke at all. Crime was one of the luxuries that Mercury could not afford. Venus' gravity is 0.904 g. This is practically the same as Terra, and is certainly large enough to prevent bone decalcification and other hazards of low gravity. Venus is conveniently located with respect to Terra. Hohmann launch windows occur every 584 days (compared to every 780 days for Mars). Hohmann transfer time is about 5 months (compared to 6 months for Mars). 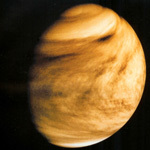 Venus' atmosphere is mostly carbon dioxide. This can be used to grow food. CO2 is also heavier than the nitrogen-oxygen breathing mix humans use, which means an nitrogen-oxygen filled balloon will float in Venus' atmo. The temperature at the equator is actually higher than at Mercury, 723 K (450°C). Higher than the melting point of lead and much higher than the temperatures used in hospitals to sterilize surgical instruments. This is due to the greenhouse effect, mentioned in 1950's school children's astronomy texts decades before the invention of the term "global warming". The atmospheric pressure at the surface is about 92 times that of Terra. This is about the same as the pressure under Terra's ocean at the depth of a kilometer. Humans exposed to this will implode. The Soviet Venera 5 and Venera 6 probes only got down to 18 km above the surface before they imploded. Venus' atmosphere contains clouds of sulfur dioxide and droplets of sulfuric acid. Which will dissolve metals at positions above copper in the reactivity series (iron, aluminium, titanium, etc.). The winds at cloud level are about 300 km/h. If the colony is a floating cloud city, trying to mine the surface for resources will be a nightmare. It will work on other planets too. 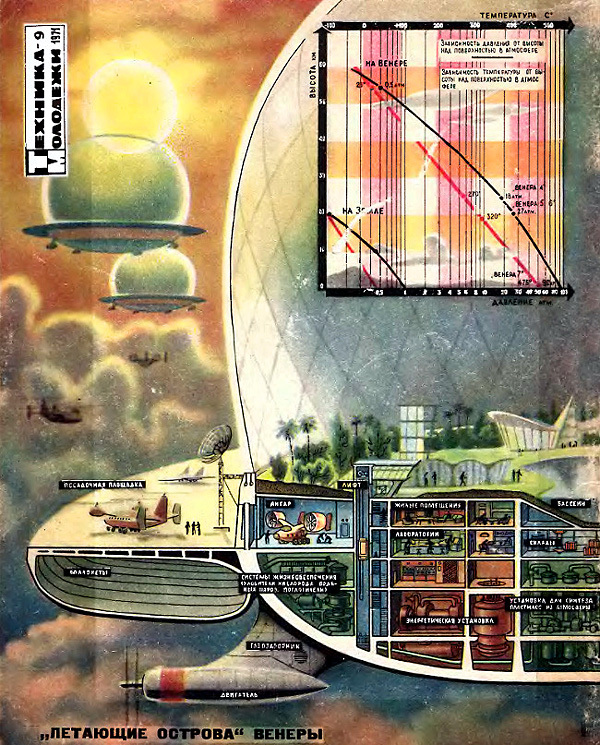 Some scientists (most notably Geoffrey A. Landis of NASA's Glenn Research Center) have suggested colonizing Venus by using aerostat habitats and floating cities. In Venus' carbon dioxide atmosphere, a balloon full of a human breathable 21:79 oxygen/nitrogen mix will float. Actually it will have over 60% of the lifting power that pure helium has on Terra. 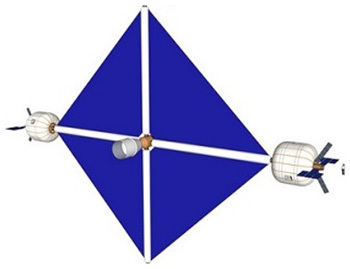 If a breathable mix balloon could loft a city to an altitude of 50 kilometers above the surface, it would find the environment to be the most Terran-like in the entire solar system. The pressure is about 1 bar (the same as at Terra's surface), temperature in the range of 0°C to 50°C, and about the same protection against cosmic rays. Since the pressure inside and outside the balloon are about the same, any rips or tears will only slowly diffuse the gases (instead of causing the entire balloon to instantly pop). This will give plenty of time for repairs. At cloud levels the wind blows about 95 m/s (about 300 km/h). It circles the planet in about four Terran days. A colony floating in this wind would experience a Venusian day of about four Terran days in duration. This is a vast improvement on the Venusian day on the planet's surface, which is about 243 Terran days long. Thinking more grandly, others have suggested terraforming Venus. These include various proposals to drastically lower the atmospheric pressure and increase the levels of oxygen. Terra-Luna L1 is a good location for a way station/cargo transhipment point. From L1 the delta-V to travel to either Terra or Luna is modest. 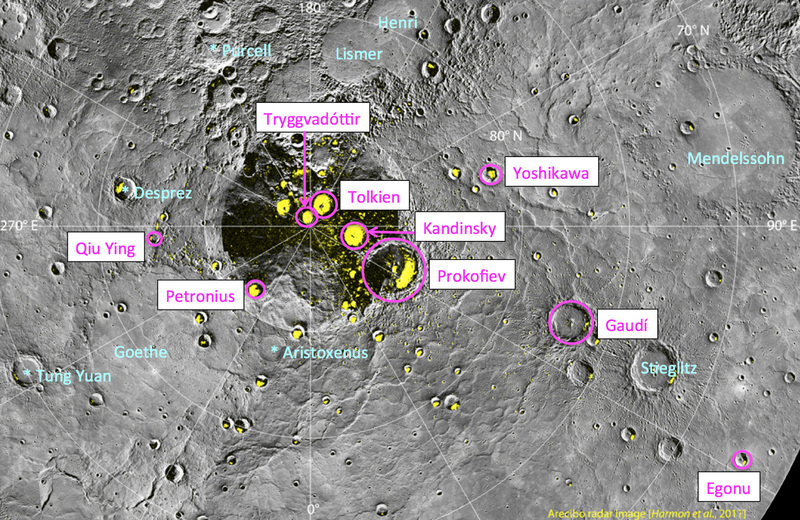 It is also a good site for an orbital propellant depot, perhaps supplied from Lunar polar ice. Terra-Luna L2 is a good location for a communication satellite covering Luna's far side. L2 is another good location for an orbital propelant depot. It is also good for transits to other planets outside of the Terra-Luna system. This is because L2 is practically at Terra escape velocity already. L2 is sometimes called the "gateway to the Solar System". It is also an ideal location to initiate an Oberth maneuver to get some free delta-V when traveling to another planet. To do an Oberth, the ship performs a parabolic dive from L2 into a close pass by Terra, and does the burn at the closest approach. 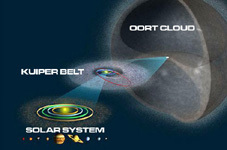 Typically an Oberth maneuver around Terra can augment the delta V by a factor of 2 to 7. A typical Mars departure requires a delta V of 4.3 km/s, doing an Oberth the ship can get 4.3 km/s by only doing 1 km/s worth of burn! Propellant depots will also have a longer life at L2 compared to having them located in LEO. L2 has lower micrometeor levels, lower thermal stress (reducing cryogenic propellant boil off), and lower amounts of corrosive atomic oxygen. 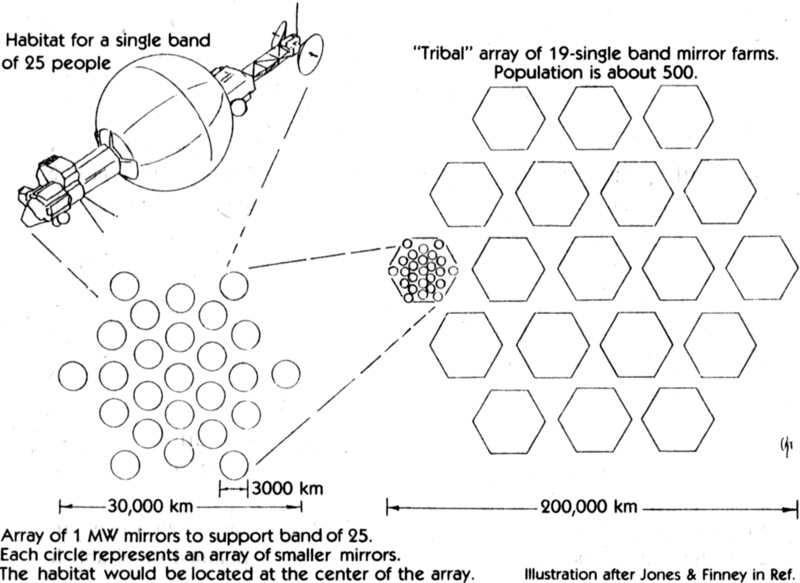 Gerard O'Neill's original plan for a space colony had them located at L5. 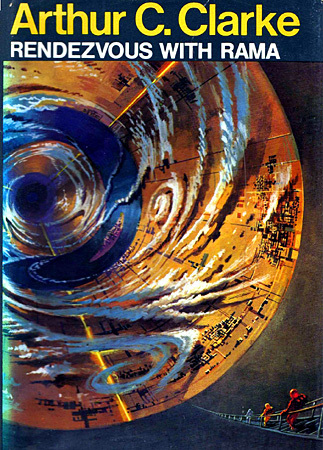 As a matter of fact, his O'Neill cylinder habitats are commonly called "L5 Colonies." Either L4 or L5 is a good spot since they are stable. In science fiction, often one spot or the other is claimed by rival superpowers (e.g., USA and Russia, or the various nations of Gundam). The Kordylewski clouds may or may not occupy the Terra-Luna L4 and L5 points. All of the Lagrange points provide gateways into the Interplanetary Transport Network. Mining the Lunar Ice might be the key to the inner planets. On the one hand the regolith contains valuable Helium 3, useful for fusion reactors using the 3He+D reaction. On the other hand the He3 found on the surface of Luna is so sparse that it is not worth mining unless you are absolutely desperate. 15 to 50 ppb is pathetically low grade ore.
Lava Tubes are ready-made underground caves providing shielding from cosmic radiation. Otherwise digging the caverns for an underground city would be somewhat a chore. Thorium deposits, with the highest concentration at Lalande Crater. That is one reason why that crater is the location of choice for the first lunar colony according to the Virtual Lunar Colony Project. Plentiful supplies of the raw material for Aluminum-Oxygen and other ISRU-Oxygen rocket fuel. Just add electricity or solar heat to separate the oxygen from the metal. Titanium from Lunar Ilmenite ore. On Luna a "High titanium basalt" is one with more than 6% titanium by weight, it can go up to 8%. Other than Terra there are no other known sources. Located conveniently close to Terra. Short Hohmann transit times (about 3 days) and Hohmann launch windows are frequent (every 29.5 days). There are details about lunar mining here. Central City was built underground, a series of lens-shaped hollows, kilometers across, known as Sub-Bubbles. The tourist dome sat on the surface, fifty meters directly above one edge of a lens, connected to the interior’s ground level by a long ramp running between the surface level and the airlock. The city side of the airlock complex had been designed with tourists in mind. One whole wall was made up of huge view windows that canted in from the ceiling toward the floor, overlooking Amundsen SubBubble, affording a splendid vista of the bustling city below. Except now the view windows were shattered heaps of glass on the ground and jagged knife-edges sprouting up from window frames. A sooty wind swept into the overlook chamber. The city below looked like a war zone. Smoke billowed up from at least three separate fires, only to be caught in a violent wind that flattened it into the sky blue ceiling of the bubble. Wind. Nothing scared a Conner more than a leak. Lucian forced the worry from his mind. Either the repair crews were handling it or they weren’t. Lucian’s gaze left the ceiling and he looked down at the city again. The lush greenery that the city took such pride in was still more or less there, but whole garden sections had slumped over. Landslides had carried off hillside trees. As with the chamber itself, the wall facing the dome interior was made entirely of glass. That was both for the benefit of tourists and because there was nothing cheaper than glass on the silica-rich Moon. Whatever the reason, it left Lucian leading twenty-eight people, most of whom barely knew how to walk in low gee, down an incline littered with razor-sharp fragments of glass, trying to stay out of a howling wind that blew through where the glass wall should have been. Somehow he got them down without anyone slicing open an artery. Single-familiy lunar ecosphere. Living and sleeping rooms are underground, and the atrium is shielded by water. From The Millennial Project by Marshall Savage. Artwork by Keith Spangle. Asteroid Space Plastic using carbonaceous asteroids as feedstock. Phosphorus (Life's Bottleneck) in carbonaceous asteroids. Relatively easy to get to from Terra, compared to the asteroid belt. They require relatively low delta-V to perturb their course into a civilzation-destroying collision with Terra. The Spaceguard will be keeping a very close watch on these. Especially 99942 Apophis. Asteroid 3753 Cruithne is sort of but not quite at a Lagrange point. It is often incorrectly called the "second moon of Terra." Sol-Terra L1 never has its view blocked by Sol or Terra. This makes it a good site for solar observatories as an early warning storm monitor for deadly proton storms and other solar disturbances. Sol-Terra L3 would be a great place for a early warning storm monitor. It could spot large active sunspot regions before Sol's rotation aimed them at Terra. It would also function as the L1 early warning for any spacecraft that happened to be on the opposite hemisphere with respect to Terra. L1 and L3 as a team could provide warnings for the entire solar system. 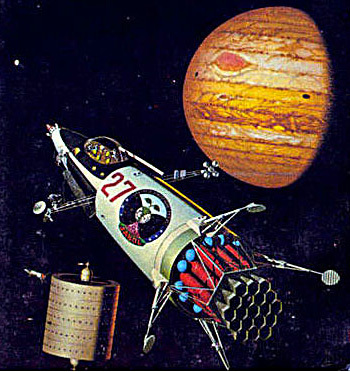 In old pulp science fiction, Sol-Terra L3 was a popular location for "counter-Earth", a sinister planet hidden from Terran astronomers by Sol (e.g., Gor, Journey to the Far Side of the Sun, or the home of the High Evolutionary). But now satellites and gravitational studies have revealed that there is no planet there. Which is a good thing since L3 is a gravitationally unstable position. Asteroid 2010 TK7 occupies the Sol-Terra L4 point. The Mars-5 space probe did detect uranium and thorium on Mars. The Martian atmosphere does contain about 2.5 percent valuable nitrogen. Mars does have valuable water. For Hohmann trajectories originating from or heading to Terra/cis-Lunar space, Mars has the longest delay between Hohman launch windows (2 years, 1.6 months) of any of the planets in the solar system. The atmosphere of Mars is about 99% vacuum, but it is thick enough to make pesky dust storms (lasting weeks at a time) that can cut down solar cell power to zero, and coat the solar cells with dust that has to be removed somehow. Surface gravity is 3.7 m/s2 (38% Terra), which might be too low for health. 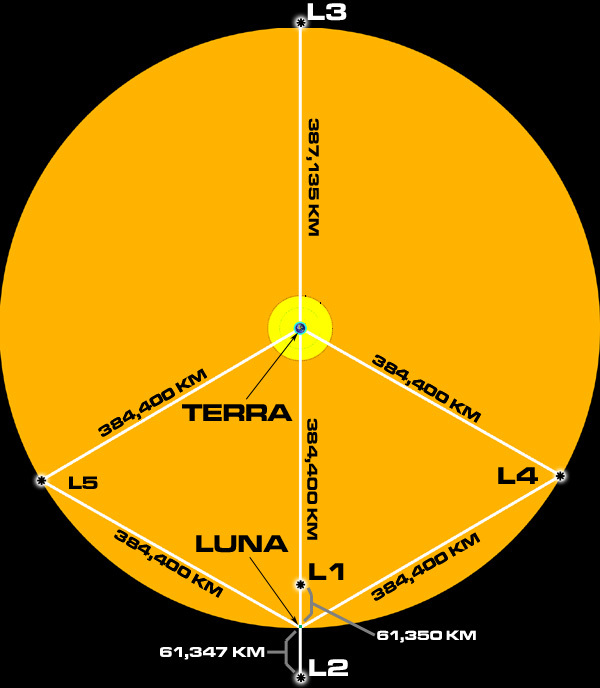 Resource-wise, Luna seems richer than Mars, while also having a lower escape delta-V cost. (121514) 1999 UJ7 occupies the Sol-Mars L4 point. Asteroids 5261 Eureka, (101429) 1998 VF31, and (311999) 2007 NS2 occupy the Sol-Mars L5 point. Asteroid Mineral Mining, especially 16 Psyche. 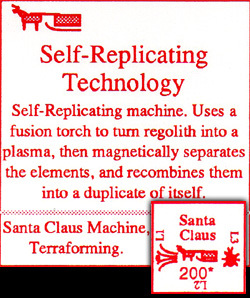 In the boardgame Rocket Flight by Phil Eklund, players can purchase a Santa Claus machine if they have researched the tech cards Electrophoresis (field-dot symbol), Self-Replicating Technology (reindeer sled symbol), and Biotechnology (bug symbol). Price is 200 heat radiator equivalents. Each turn it can produce either 10 masses of radiators, 10 masses of rocket engine, 10 masses of water, or 1/20 of a new Santa Claus machine. Mobile nuclear-powered propellant-production plant. Ice is melted and electrolized into oxygen and hydrogen.Note red-hot reactor on the boom. Pilgrims with itchy feet and travelin' bones will head for the high frontier; wherever they find it, they'll push it back. These trail blazers, on their way to conquer new lands, will come to the Martian moons in an ever-growing stream. Like the boomers going to Saint Joe, Mo., these space settlers will outfit themselves at the 'rail-head' on Deimos. They will convert their hard-won grubstakes into tools and provisions, and strike out for the new territories. Most will head for the myriad micro-worlds of the asteroid belt. Other hardy souls will venture further afield, to the Trojan asteroids, and even the moons of Jupiter. Many of these outbound immigrants will be moved by the simple desire to flee the cloying multitudes of the inner worlds. Others will be impelled by that unfailing motivator of mankind: greed. 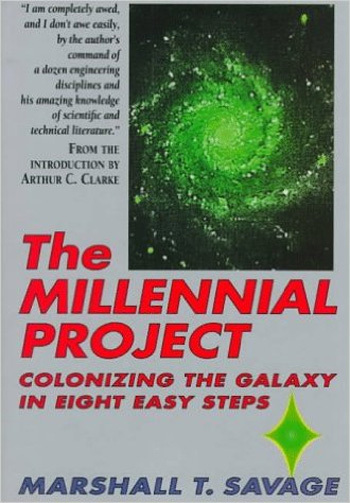 Settlement of the solar system will be greatly encouraged by the adoption of a Millennial Mining Law. The administrative code underpinning the Law can be complex in its particulars, but the essence of the Law itself should be utter simplicity: "First in time is first in right." If you are the first person to reach a satellite, and stake and register your claim with the Solar Mining Office, it's yours! It is unlikely that an individual could mount a solo expedition to the asteroid belt; so you would probably have to sell shares in your venture to get the capital. At any rate, you and your partners are now the proud owners of a celestial mother lode. Lets say you've staked your claim to an average carbonaceous chondrite in the outer asteroid belt. What's it worth? Much interesting speculation about asteroid mining has centered on those of the metallic variety.490 When one visits asteroids at the museum, it certainly appears that the nickel-iron types would be worth the most. After all, metals form the back-bone of industrial infrastructure, and their extraction and refinement is at the root of civilization. That is true enough today, but in the New Millennium, metals will be a side show. The real money is in water, carbon, nitrogen, sulfur, and the other light elements that make up the substance of animate matter. There will be claims staked on metallic asteroids to be sure, but in the first great "land rush", the savvy entrepreneurs will be after carbonaceous chondrites. If you managed to be the first claimant on a typical smallish asteroid—10 km. in diameter—you would possess a trillion tons of the most valuable resources in the solar system. If, after paying for extraction and transportation costs, consumers in the realms of Asgard and Avallon paid an average of only one dollar per kilogram for light elements, your asteroid would be worth over one hundred trillion dollars. There are millions of asteroids that are more than a few kilometers in diameter, and billions and billions of smaller ones. Eventually, they will all be claimed, mined, and settled. As the human race grows to maturity, filling up the solar system, the market for asteroid organics will expand continually. Any asteroid prospector can stake his claim with full confidence that eventually there will be a demand for his minerals. It may take time. But asteroid settlers will be some of the only people in the solar system who can live with near perfect self-sufficiency. They can afford to wait. Like all pioneers, the first settlers in the asteroid belt must be hardy souls with iron wills and rawhide constitutions. They must be capable of facing isolation and deprivation; they must be able to fend for themselves; and most importantly they should be endowed with infinite faith in the future. Like Europeans headed for the California gold fields in 1849, new immigrants to the asteroid belt will flood in from the Old World. They will book their passage on the trans-oceanic vessels of their time—orbital habitats cycling between Earth and Mars. When the pioneers arrive on Deimos, they will equip themselves for their perilous expedition to the new frontier. The planetary civilization on Mars will be able to provide all the technology needed to successfully homestead an asteroid. In all likelihood, these space pilgrims will join up in "wagon trains" for the trip out. Each band of hardy trail blazers will form their own society, agreeing among themselves on its structure and systems of self-governance. Each family buys a launch pod and a cargo pod, both tanked up with enough fuel for rendezvous maneuvers. In addition to housekeeping basics, each adult carries the obligatory space suit— the only major piece of equipment brought from Earth. The group pools its resources to buy the essentials: a small ecosphere habitat (with CELSS), a semi-autonomous robotic miner, a pair of multi-purpose utility vehicles, a universal fabricator, and some power bubbles with thermionic generators. The colonists arrange financing for their expedition long before leaving Earth. All the adults in the group have special skills, and like most people in the Third Millennium, they customarily work as telecommuters. In the group there are engineers, designers, writers, counselors, researchers, and consultants. All of these people work by logging on to interactive telecommunications networks. Most of their jobs are insensitive to short time delays, so they can work without regard to their location in the solar system. The data professionals in such groups have all been selected as much for their ability to work through telepresence as anything else. As telecommuters, they can continue to work in their careers despite being on their way to the asteroid belt. This has important economic ramifications for the colonists. First, they do not face a cut off in earnings during the two years or so it takes them to reach their destination. Second, it means that they can continue to work and generate revenue after their arrival, even though otherwise isolated on a barren asteroid. This ability to participate in the general economy while physically isolated, is one of the most important factors enabling our rapid expansion into space. Financial institutions in the Earth-Moon system have very little interest in bankrolling colonists headed for the asteroid belt; too remote, too risky. There is, however, a ready source of funding. The first big colonial push out to the asteroids targeted the giant asteroid Vesta. Vesta orbits close to Mars and is a big asteroid with a unique and valuable composition. The original Vestans flourished, building their tiny world into a major economic force in the outer solar system. Very quickly, the Vestans realized that the highest returns could be made by financing other colonists who desired to settle the wide frontier of the asteroid belt. Psychological barriers and remoteness from the inner worlds, plus very real risks, kept home-world banks out of the game. This allowed the Vestans to charge very high interest rates for colonization loans. The inVestament bankers understood that loans made to colonists were doubly lucrative. First, the colonists invariably consist of highly motivated groups of mature professionals. (This Darwinian selection is self-enforcing; groups not meeting the rigorous standards are simply not approved for loans.) These hard­core groups inevitably hit the ground running, and very quickly transform their new habitats into productive resource mines. The telecommuting professionals give the groups an economic underpinning which allows them to carry heavy interest burdens. New productivity from asteroid resources enables them to pay back their loans very quickly. The asteroid bankers are consequently able to turn their capital over rapidly, so the investment pool doubles in size every five to ten years. Second, each new group of colonists adds a jolt of synergy to the whole economy of the region, bringing with them demands for goods and services which can be supplied by yet other colonists. This double-barreled effect—rapid capital turn-over plus exploding demand—creates a very powerful positive feedback loop in the economy. As the Vestans make more and more money on their loans, the investment pool grows, making it possible to make more loans, generating greater profits, in turn increasing the investment pool available for loans, etc. The result is runaway growth of real wealth. The settlers find it fairly easy, therefore, to borrow substantial amounts of money with no more collateral than their resumes. Colonists typically head out to the edge of the new frontier with an ample stock of capital equipment and a generous line of credit at the FIBV (First Interplanetary Bank of Vesta). Long before their expedition even started out, the Robinson group had targeted their bit of celestial real estate. They selected a destination only after detailed consultations with the solar mining office. They chose an asteroid of moderate size—10 km. 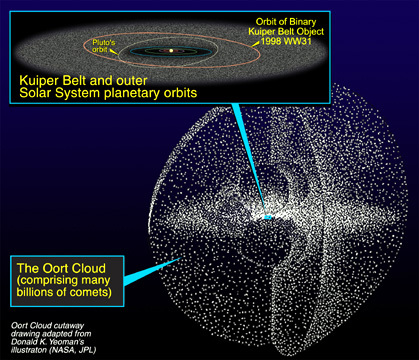 in diameter—orbiting in the middle of the belt. This particular asteroid is already owned by its original claimant who is in residence there. The leaders of the expedition have been in radio negotiations with the old prospector and have come to terms. The new colonists have agreed to pay the owner an up-front cash bonus and a royalty of 8% on all exports. There are still many millions of unclaimed asteroids; but this is a group of families and they don't want to face the extra risks of an unknown planetoid. 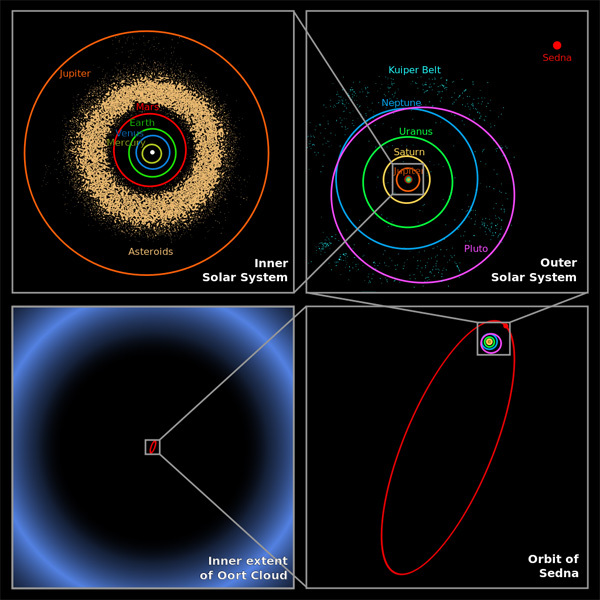 The Solar mining office has conducted extensive surveys and has detailed spectroscopic information on almost every asteroid larger than a few kilometers in diameter. Little else is known about the unclaimed asteroids. By contrast, this asteroid—Sykes 1011—has been pretty thoroughly evaluated. 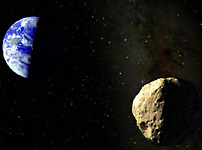 In order to hold his claim, Sykes has been "proving up" his asteroid ever since he first staked it fifteen years before. He has done extensive exploratory drilling, made detailed assays of his cores, taken seismic readings, and otherwise scrutinized his private little world. The old prospector's diligence has paid off. The rich data base has served its purpose and has attracted a well-heeled group of settlers, Sykes, who has lived for a decade and a half in almost complete isolation, now anticipates a rich pay day. He is going to be amply recompensed for his years of unrequited labor. The prospector's risky investment will pay rich dividends for the rest of his life. The colonists—named for the largest family, the Robinsons— have been willing to pay a premium price for Sykes' asteroid. His certified assays show that S1011 has an especially high water content of 18%, and unusually high concentrations of tantalum, and cobalt. For extra bonus money and a higher royalty, Sykes has been willing to assign all future development rights to the Robinson group. The Robinsons have done detailed modeling of the economics of their risky venture; they have good reason to believe that they too will ultimately enjoy rich rewards. The Robinsons launch from Deimos in a replay of their flight from Avallon. Families are catapulted off in their individual pods, and the wave riders skim across the top of Mars' thickening atmosphere, picking up a slingshot boost from the red planet's gravity well. The pods shoot off at precisely calculated trajectories to rendezvous with an orbital habitat cycling between Mars and the main asteroid belt. Unmanned cargo pods, bearing precious equipment follow. After a few days in cramped discomfort on the wave riders, the colonists rendezvous with a cycling habitat. They dock their riders and move into temporary but homey quarters in the outbound ecosphere. There they live comfortably for the 15 to 20 months it takes to reach the asteroid belt. During that time, educations, and careers carry on, without much interruption. After the cycling habitat reaches an optimal point in its orbit, the colonists will jump off to their destination asteroid. The entire journey has been carefully timed to minimize the duration and energy requirements of this final leg. Everything has gone according to the schedule—arranged years in advance. Delays at any stage of their odyssey could have stranded the travelers at some intermediate point for years. As it is, the colonists are in a perfect position to rendezvous with their chosen planetoid. The Robinsons again board their wave riders and make the short hop to Sykes 1011, arriving at the asteroid with only a few kilograms of propellant left. Touching down on their new world is more like docking with a giant ship than landing on a planet. The gravity is less than a thousandth of that on Earth. The little convoy sets -down in the midst of a scene of splendid desolation. The horizons of the little world crowd close, unbroken by anything but Syke's radio strobe and a hand-made banner with "Wellcum Robinsuns" spelled out in strips of gold foil. With legal formalities out of the way, the first order of business is to launch power bubbles. The group has brought three thermionic generators, each with enough capacity to provide all of the colony's power needs. Fuel is pooled for one of the wave riders, and the generators are towed into close polar orbits around the asteroid. This takes just a small amount of propellant as orbital velocity is only a few meters per second. Once the generators are in stable orbits outside the asteroid's shadow, the bubble reflectors are inflated around them. Properly focused and adjusted, the generators begin to crank out power. The electricity is converted to a narrow beam of microwaves and is transmitted directly to receiving antennas strung along the asteroid's equator. With a good supply of power now at their disposal, the colonists begin to transform their Lilliputian planet. They set up and activate the mining station. The robotic augers immediately begin shunting loose regolith into the maw of the machine. Inside the miner, the soil is heated in a plasma arc furnace. As the temperature rises, steam hisses out of the hot ore, and the vapor is pulled off and condensed. When the first silver trickle of liquid water begins to dribble into the transparent collection tanks, a cheer bursts from the jubilant colonists. At this point they know they have succeeded. Their years of sacrifice and hard work have paid off. They have water. Where there is water there is life. Now they know they can survive on this orbital slag heap. They have everything they need to sustain life and build a new world. The robotic miner is not a large machine; its throughput is only a couple of kilograms per minute. Watching powdered regolith pass through the holding bin is like watching sand trickle through a big hour glass. Even so, the machine produces over 500 kilograms of distilled water and half a ton of oxygen per day. In a highly efficient process, the crushed asteroid ore is melted and most of its usable elements extracted. The molten rock preheats the incoming ore stream and is then extruded from the miner in the form of cooled bricks, slabs, and other structural components. The colonists garner everything they need from the asteroid. At this stage of development, the principal commodities required by the colony: power, oxygen, and water, are available in abundance. The next pressing project is to erect a temporary habitat. The temporary structure is just a large fabric bubble with a cable net thrown over the top. The colonists hastily level the bottom of a small crater with their utility vehicles. The bubble is inflated and regolith is shoveled in to cover the whole thing three meters deep. Though palatial by Sykes' standards, it will be rough living for many months, until a proper ecosphere can be built. The colonists move into their temporary domicile, pitching their family tents inside the Spartan space. The temporary habitat is not roomy, and is harshly lit by yellow tritium bulbs. It provides a shirt-sleeve environment nonetheless. On the face of this hostile bit of real estate, adrift in the void, even this rough bubble is a welcoming haven. Establishing a self-sustaining ecocycle to produce food and recycle wastes is now the colonist's top priority. Coils of algae tubing are deployed and an ecocycle centered on a super critical water oxidizer is organized. At this point, the colonists are dug in for the long haul. Now they can turn their attention to raising the colony's standard of living. The first step in that direction is the construction of a proper ecosphere. The surface of the asteroid, closely resembles that of the Martian moon Deimos. 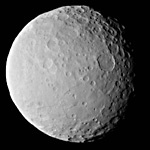 It is pocked with craters of various sizes, up to a kilometer in diameter. A crater 200 meters in diameter is chosen, and work begins to transform it into a permanent ecosphere. The robotic miner forms a ring of fused regolith around the crater rim while the utility tractors terrace the inner slopes. While forming the foundation ring, the miner extrudes bulk materials and some simple finished goods like reinforcing cable and anchoring bolts. Refined silicon and other elements are fed into the uni-fab (universal fabricator) which produces the silicone bubble membrane. The uni-fab is a remarkable piece of machinery and represents one of the colony's most expensive and valuable capital assets. The uni-fab is capable of producing virtually any material or machine component. All it requires is a supply of the appropriate raw materials and detailed design instructions for its computer. The fabricator uses MBE (Molecular Beam Epitaxy) technology to produce parts and materials. MBE is extremely simple in concept: a beam of charged atoms is sprayed onto a substrate, not unlike painting a car. Successive layers of atoms are beamed on until the desired thickness is built up. The composition of the molecular beam can be varied at will, as can the shape and thickness of the final products. With the right materials and instructions, the uni-fab can produce anything, from ball bearings to saran wrap. The only materials the uni-fab can't produce are living tissues. You could feed in the appropriate instructions and materials needed to form a frog, but all you would get is frog soup. The uni-fab can, however, easily manufacture just about anything else. It could readily produce all the parts of a camera, for example. You would still have to assemble the components, but all the lenses, fittings, and tiny screws could be manufactured by the uni-fab. Depending on its design, it could be a very fine camera. All the parts would be made with a finish and precision accurate to a couple of angstroms—the width of a single atom. The uni-fab enables the colonists to be self-sufficient in virtually all manufactured products, from toys to computer chips. While the uni-fab produces the ecosphere's dome material, work progresses on crater preparation. 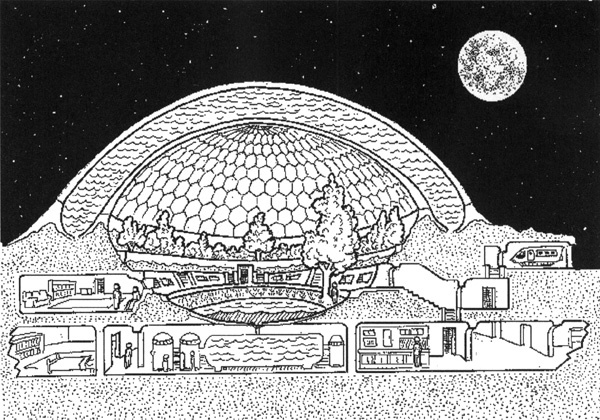 When the inner terraces and anchoring ring are completed, the bubble membrane is installed, and inflation of the ecosphere begins. An ecosphere 200 meters in diameter will require about half a million kilograms of oxygen. It will take the robotic miner a little over a year to produce this much air. As the ecosphere is inflated, the crater is terraformed to provide a life-rich habitat. Trees, grass, and flowers are planted in profusion. An open stream meanders across the terraces and slowly cascades down the slopes to a small pond. A fountain sprays water in dramatic slow-motion arcs. The soft splashing of water gently falling through the micro gravity will fill the interior with the unmistakable sounds of Earth. Slowly, the robotic miner will produce enough water to form a water shield for the crater dome. When complete, the shield will allow the colonists to pitch pavilions in the gardens and live in the open, among the eight acres of grass and trees under the dome. The Robinsons will construct the first ecosphere for somewhat the same reasons that Sykes did his core drilling—to attract new settlers. With the ecosphere completed, the otherwise barren little asteroid now beckons with the welcoming green glow of a miniature Eden. 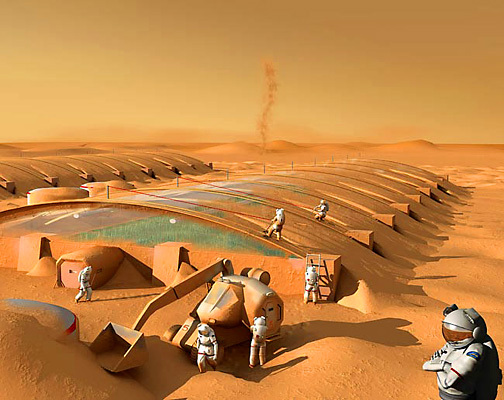 New colonists, looking for opportunities, but less willing than Sykes or the Robinsons to face risk and hardship, will be attracted to the new habitat. This first permanent ecosphere is easily large enough for dozens of families. Several groups of immigrants join the growing colony. This third wave of settlers does not face the harsh wilderness that greeted old Sykes and the Robinsons. These newcomers can move right in to a comfortable habitat, resuming their lives without much of an interruption. Since the hazards and discomforts are low, individual families, even single people, will be able to immigrate to the new colony. Despite this lack of hardship, the new colonists will enjoy a large share of the asteroid's abundant wealth. The new comers will pay cash bonuses to the Robinson group. They will literally be buying a 'piece of the rock'. In return, they are supplied with dwelling space, food, water, energy, and amenities. The new arrivals also get a stake in the colony. They earn a position in the corporate identity of the colony and a share of future royalties and profits. As more and more colonists arrive, the earlier waves grow wealthier. Sykes becomes rich as Midas, but he never does move out of his rickety fuel cylinder. The Robinson group took a big gamble and hit the jackpot. The Robinson's and the other foun­ding families become enormously wealthy, building their own private compounds in some of the asteroid's choicest craters. For generations to come, the descendants of these pioneers will enjoy the status and bank accounts that go with "old money". As the growing community accrues wealth, dramatic new projects can be undertaken. The first of these will be—as on most new worlds—the construction of a mass launcher. The launcher will be built almost entirely of local materials. For example, low-temperature superconducting electromagnets can be made of Alnico—an alloy of aluminum, nickel, iron, and cobalt. All these metals are available on the asteroid. Ultra-low temperatures can be maintained in the magnets by shielding them from radiant heat under a blanket of vacuum insulated regolith and by circulating liquid hydrogen at -252°C. Once the mass driver is complete, the asteroid colony can begin to export commodities profitably. There will always be an insatiable demand for water and other light elements back in the Earth-Moon system, but importing hydrogen from the asteroids will not be cheap. It requires a change of velocity (Δv) of 11 kilometers per second (kps) to move payloads from the inner asteroid belt to the Earth's orbit. That is the same Av required to lift payloads off the Earth. This fact will put a premium on the cost of living in the vicinity of the Earth. Escaping this cost penalty will be one of the motivations fueling immigration to the asteroid belt. 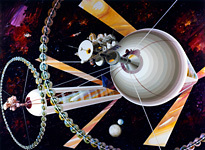 In the self-sufficient colonies of the asteroids, the cost of living will be attractively low. There will always be people willing to pay the premium to live near the Earth, however; so the thirst for hydrogen from the asteroid belt is apt to remain unquenchable. The colonists on Sykes 1011—now renamed New Bern— produce elemental hydrogen which they liquefy and hurl into space in vacuum insulated canisters of chromium cobalt alloy. The canisters need not be propelled to 11 kps—a very energy intensive proposition. Instead, they are impelled at a few tenths of a kps onto an orbital path that rendezvouses with the large asteroid Ceres. On Ceres there is a large interplanetary mass driver with huge cargo capacity. Hydrogen, metals, and other commodities from all over the asteroid belt are consolidated into bulk shipments. Big cargo carriers are flung off on journeys to the inner planets that can take years. The colonists' shipments of hydrogen, vitallium and other commodities are automatically credited to their accounts on Vesta. The economy of New Bern thrives. Underpinned by the work of telecommuters, and supplemented by commodity exports, the colony grows richer. The colonists invest heavily in semi-autonomous factories. Highly specialized products are manufactured for niche markets all over the Solar system. The colonies on New Bern specialize in precision medical instruments and implants. Their vitallium endoskeletons come to be highly prized by people going through trans-geriatric metamorphosis. New ecospheres spring up. All the best crater sites on the asteroid are domed over. As new immigrants arrive and children are born, the population burgeons. There is no shortage of room on the asteroid. It seems a tiny world, but it is big enough to accommodate a large city. The surface area of the asteroid is 314 million square meters. That is enough room for a population of three million people. It's hard to fathom, but even this many colonists wouldn't be crowded. Each person would have as much room as the marine colonists on Aquarius, where almost 40% of the area is dedicated to park land and open space. The same ratios would apply on the surface of the asteroid. Half the surface area could be dedicated to gardens, lakes, playing fields, and other open spaces, and there would still be ample room for a large population. All the industry, and much of the colony's supporting infrastructure, is put underground. The surface is left free for living. Eventually, the whole surface of the asteroid is enclosed inside an ecosphere. 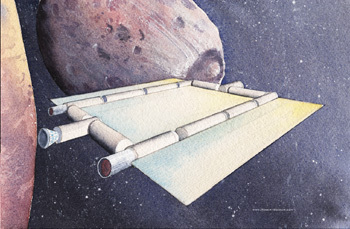 With a membrane surrounding the asteroid, the whole surface can be terraformed and inhabited. Lush plant life will cover the asteroid's surface. People will live in their pavilions, set among the trees and flowers blanketing the once barren landscape. A water shield for an ecosphere 12 kilometers in diameter would weigh 2.25 billion tons. This would require just over two percent of the asteroid's water supply. Inside the bubble membrane will be an oxygen atmosphere amounting to 86 million tons—requiring only a tiny fraction of the asteroid's oxygen. The ecosphere will provide a tremendous volume of livable space. At some places, the asteroid's 'sky' will be two or three kilometers high. Trees will be able to grow thousands of meters tall, dwarfing even the Never-trees in the craters of the Moon.497 In the minuscule gravity, flight will be almost effortless. As in Lothlorien, many people will live in the branches and hollow trunks of the gigantic trees. Swiss Family Robinson will have come full circle. As mining progresses, the asteroid's interior will become honeycombed with caverns and tunnels. Robotic miners will cut through the rich carbonaceous ore of the planetesimal like termites boring through fruit cake. Even after the asteroid is fully enclosed in an ecosphere, mining will continue deep in the interior. Exports will be spit out through rigid magnetic launch tubes that penetrate the outer shield membrane. Over time, the interior of the asteroid will be hollowed out and terraformed. A large fraction of the asteroid's bulk will be converted into the living substance of people, plants, and animals. Every kilogram of water or metal ever removed from New Bern will be found somewhere in the solar system: bound up in the radiation shield of some other colony, rustling in the leaves of a tree, or coursing through the veins of a child. Nothing will be wasted, but everything will be transformed. Over time, New Bern will mature into a vibrant miniature world. It will possess a unique history and culture all its own. The process that creates New Bern will be played out all over the asteroid belt at various times. The transformation of the belt will begin in the inner zones closest to the Sun and will proceed apace until the remotest asteroids have been settled, encapsulated, and terraformed. As the human population grows, each planetesimal will become the center of an expanding community, nourished and sustained by its asteroid's resources. As Solaria blossoms and ripens, the entire asteroid belt will become thickly sprinkled with free-floating ecospheres and terraformed asteroids. Ah, the asteroid belt. There’s not a lot to see here; the view out of our windows as we arrive looks about as empty as everywhere else. And yet, this bleak void is the birthplace of humanity’s space colonization efforts. These boring space rocks were gold to the early spacefarers – well, platinum to be specific. We set down in a hollow asteroid barely a thousand years after humanity first began to explore the void. Even now, we’re traipsing about in a tourist trap. The mineral resources and strategic location of this rock are a thing of the past; the cramped living quarters and maintenance tunnels are packed with floating tourists from Earth and Mars. The tour guide tells us that “colonies” such as this weren’t that impressive at first; just temporary quarters for highly-paid remote-mining equipment operators. (A bit of a gender politics question: men are overwhelmingly overrepresented in very high-risk occupations, and suffer far more work-related injuries. In a (presumably) much more egalitarian future, will this still be the case? What will the gender breakdown of the early asteroid miners look like? Just one of those fun questions sci-fi writers get to answer.) Over time, the living space grew and the meager stations evolved into full-fledged communities. Yet even now, only a handful could be considered comfortable or urban – and only the largest bother producing their own centripetal “gravity.” We travel through the large common area on guide ropes strung between rooms. We could “free-fly” in this low-gravity environment, like the ancient miners did, but the last thing the station managers want is a bunch of landlubber tourists with no sense for gravity-free environments literally bouncing off the walls. We’re done with this tourist trap; there’s more than one asteroid colony, and we’re sick of hearing tour-guides talk about the “ancient space miners” – we want to see some real mining in action. And if you want action these days, you head to Vesta. How are we getting there? Well, we could just take our spacetimeship, but while we’re here in the asteroid belt, we might as well see what it’s like to travel in an actual asteroid. Eventually we find what we’re looking for: a colossal, spinning stone cylinder with a huge docking port on one end. We transmit credit information, fly through a series of airlocks, and find ourselves in a vast green-and-blue tube. We’re in a spinning paradise where travelers en route to Vesta can enjoy a quiet stroll through the garden, or gaze up at the “stars”: overhead streetlights and lanterns. The gravity is low-tech and the ride is slow, but nothing beats a hollowed-out asteroid for safety (putting half a mile of solid rock or ice between you and the radiation-rich void of space is a good idea for a lot of reasons), efficiency (carving out the middle of an asteroid and throwing an airlock on the top of the hole is a lot easier than constructing a starship from scratch – plus, you can sell all the platinum you just dug out"), and luxury (did I mention the view? The view of a tiny garden world curving all around the horizon is impressive, if a bit disorienting. Halo players may have a feel for what this looks like.). When we visited Mars, newswaves were abuzz about the Vesta (4 Vesta is the second-most massive asteroid in the Asteroid Belt, and only one of two with a differentiated metal core: it has an outer rocky layer covering a deliciously lucrative metal center.) project. And now, gazing at the camera monitors that pass for windows here, you see why. You’re witnessing the largest-scale mining operation in the history of mankind: the complete disassembly and processing of Vesta’s metal-rich core. It’s an unfathomably vast reservoir of raw metal, but considering the scale of some of humanity’s recent undertakings,(enormous solar panels near the Sun, colossal space stations orbiting Earth like extra moons, generation ships for traveling to a recently-discovered Earthlike planet many light-years away, etc.) it’s only just enough. We dock at a half-asteroid space station with a good view of the action, and chat up some miners over dehydrated ice cream sandwiches. 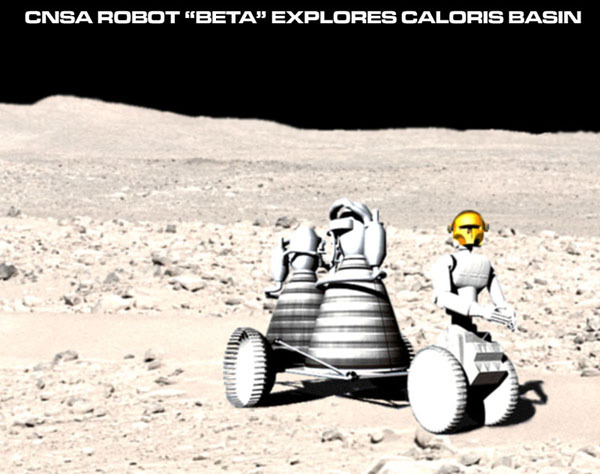 They’re really more like remote-control robotics operators and zero-G detonation experts than miners; actual humans almost never set foot on half-disassembled Vesta itself. Most of the personnel here are international observers, safety bureaucrats, heritage engineers extracting and safeguarding Vesta’s old colonies, and protesters from HACS: the Historical Asteroid Conservation Society. As we chat, we see bright flares in the distance. The miners fill us in: these are carefully positioned detonations for weakening and blasting away Vesta’s crust, and shuttles firing their engines to intercept any large pieces that drift past the perimeter control drones. It’s been a fun trip so far, but nothing in the current asteroid belt seems terraformed per se; some of the hollow asteroids are filled with little scraps of wilderness, but they’re more like terrariums (Terrarriums are exactly the name Kim Stanley Robinson gives these hollow-cylinder asteroids in his novel 2312. This novel wasn’t the first to feature mobile, Earth-like asteroid habitats, but it arguably discusses them with the most rigor and detail.) or zoos than whole worlds with ecosystems. (The lack of natural sunlight doesn’t help matters.) Even Ceres, largest and most planet-like of the belt asteroids, is too small for meaningful terraforming; there’s a large dome city and a few low-gravity skiing resorts, but nobody expects that it will ever resemble Earth in any meaningful way. We’ve traveled space long enough – it’s time to travel, well, time. Let’s visit a small asteroid colony in the far-distant future. Skeptics, are you ready to be pedantic and annoying? Because we’re going to a blue-and green EARTH-LIKE asteroid. Sorry, but we’re going there. On the other hand, if you like The Little Prince or Super Mario Galaxy, this is the trip for you. It’s the distant future’s distant future. 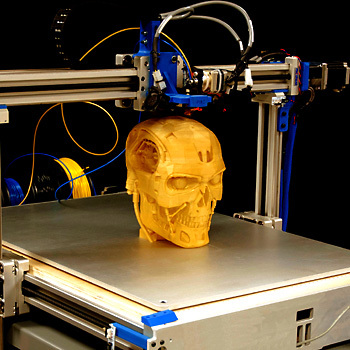 The current biohacking trends make humanity nearly unrecognizable. Being entirely blue is in fashion now; last year it was scales and prehensile hair. Impossibly large solar collectors ring the sun… mostly as relics, since everyone uses direct matter-to-energy fusion cells now. We’ve passed a number of ships that look like ancient sailing vessels, complete with a full crew on deck. It’s hard to tell whether they’re air-agnostic androids or if the ship is surrounded by a pocket of air held in via an invisible shield. It looks like these “sailing” ships, the space whale, and dozens of other oddities that hardly appear spacefaring to our ancient eyes are headed to the same place we are. TerraTwin Corporation has invited the whole Solar System to witness the unveiling of their latest vanity project: the smallest-ever fully habitable Earth! They have the resources, the talent, the power, and most importantly, the tech. Gravity is now bound to humanity’s leash. (A staple for most space-based sci-fi, even the near-future and semi-low-tech settings (for example, Firefly and Battlestar Galactica) have largely mastered gravity. The science is a bit iffy, but less impossible than FTL travel. Simple action-at-a-distance gravity control is possible if we combine a complete understanding of gravity with cheap fusion power; if we’re lucky, this could happen less than a century from now.) This has a number of bizarre implications, and we’re about to see the latest example. The company de-lenses the light just outside the port window, revealing… the Earth. Well, a version of the Earth that’s barely ten times the size of your ship. It’s a legacy model; Greenland and Antarctica are white with what looks like real snow (the snowman on Greenland is a nice touch). Small cottages dot the tiny “continents” where the major cities would be: the vacation homes of ultra-rich celebrities and TerraTwin executives. We’re allowed to land – because hey, who’s going to say no to time travelers (You have such nice, loving grandparents; it would be a shame if they’d never met.) – and we find the world to be both gorgeous and disorienting. This place is NOT for the agoraphobic; the horizon falls away much too quickly, giving the sensation of being atop a hill with nothing but space below. The gravity and the sky seem exactly Earth-like, but as you pick up the Rock of Gibraltar and give it a throw, you see it follow a bizarrely curved trajectory – it disappears behind the horizon before you can see where it landed. More curious is the Sun. 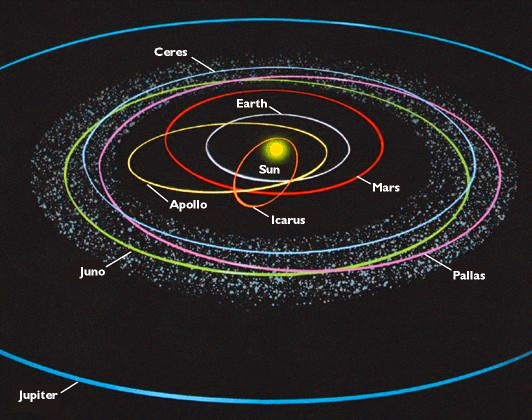 We’re in the far reaches of the Asteroid belt, yet the sun looks as big and bright as it does on Earth. Now the little moonlet we saw orbiting this miniature Earth makes sense: it’s an orbiting spotlight – an artificial sun. After all these years, humanity has decided to spite Galileo and prove Aristotle right. (Aristotle’s heliocentric theory of the solar system (whereby the sun and all planets orbited the earth) was so influential that it even became enshrined in Catholic doctrine. Galileo was put under house arrest until he died when he spoke out against this theory.) This fake sun orbits in such a way that it covers up the actual sun (two suns would break Earth canon, you see). The asteroids may be barely-noticeable space grit in the 21st century, but their mineral wealth (mostly their abundance of platinum-group elements, which are exceptionally rare on Earth) and accessibility predestines them to undergo the Solar System’s most remarkable transformations. Over the centuries, they will be mining outposts, military bases, tourist traps, enormous hollow ships, quaint homesteads, impossible-looking cities, and even gardens. 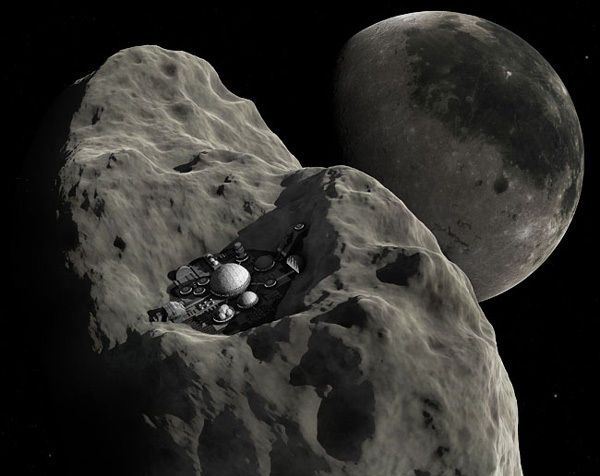 Strategic Location could make it the main base for asteroid mining infrastructure. Strategic Location could make it a transport nexus to send mineral resources to Mars, Luna, and Terra. Large deposits of valuable water ice (possibly up to 200 million cubic kilometers of water) coupled with a very low escape velocity (514 m/s) make it a useful source water, hydrogen, and oxygen; as well as an orbital propellant depot. Ceres might have more fresh water than Terra (but Terra has far more brackish salt-water). Low gravity well makes delta V cost of coloniziation lower than all planets and most moons (including Luna). A colonized Ceres could assist with the colonization of the Jovian moons, or other outer solar system objects. Ceres' orbit has a greater semi-major axis than Mars, so it has much more frequent Hohmann launch windows to/from cislunar space (every 1 year, 3.3 months) than Mars does (every 2 years, 1.6 months). Of course the transit time is higher (cislunar-Ceres 1 y, 3.5 m; cislunar-Mars 8.5 m), and delta V cost is higher due to Ceres' orbital inclination (cislunar-Ceres 9,477 m/s; cislunar-Mars 5,748 m/s). Solar power available at Ceres aphelion is 150 W/m2 (1/9th power available at Terra, 1/4th power available at Mars). Which is very low but still workable. Surface gravity is 0.27 m/s2 (2.8% Terra), which is probably too low for health. Ceres has no magnetic field to ward off cosmic rays. Colony will require shielding and/or be buried underground. As a power source. 2.0 × 1013 watts potential between Jupiter and Io. This can be harvested with electrodynamic tethers. 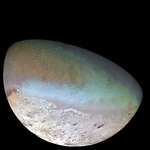 Alternatively, you mount microwave beamers on copper rods and launch them from Io at Jupiter. As the rods cut the magnetic lines of force they generate electricty. This is converted into microwave and beamed back to Io. Rod is destroyed when it hits Jupiter, but so what, they are cheap. 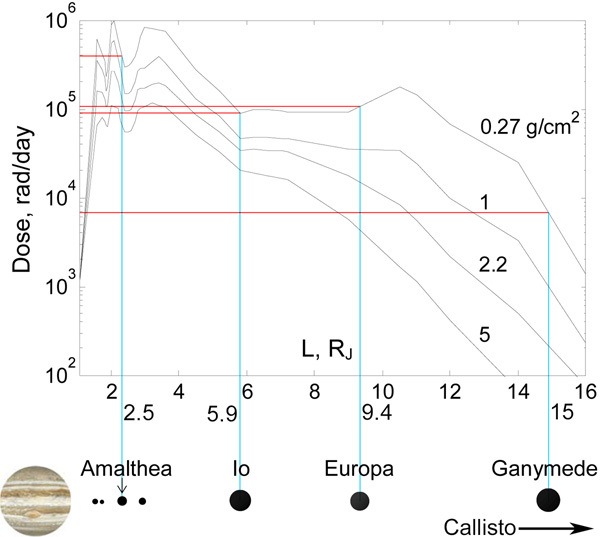 Nitrogen for fertilizer from Jupiter's atmospheric ammonia. Jupiter's radiation belt is about a million times more intense (and deadly) than Terra's Van Allen radiation belts. 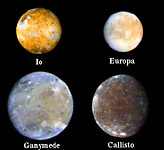 Europa, Io, and Ganymede are inside the radiation belt, Callisto is outside. Laser carve out 100 M. blocks of ice on Callisto. The mass drive launches them towards the inner solar system. The single year limit is 50 mSv, while the maximum 5-year cumulative exposure is 100 mSv (or 20 mSv per year). LD stands for Lethal Dose, LD x/y means "x" percent of individuals die within "y" days. LD 50/30 thus means half of people exposed at this level of radiation would die within 30 days. Some values have been omitted as the time required to reach the lethal dose level exceeds the time for lower lethal dose rates to be achieved or, in the case of Callisto, because it would simply be unreachable with the low radiation rate observed. Astronauts on Io would experience fierce radiation flux, reaching their maximum cumulative radiation dose accepted by various safety regulations for a period of 5 years in only 4 minutes outside on the surface!!! Europa isn't much better, with less than half an hour of exposure. 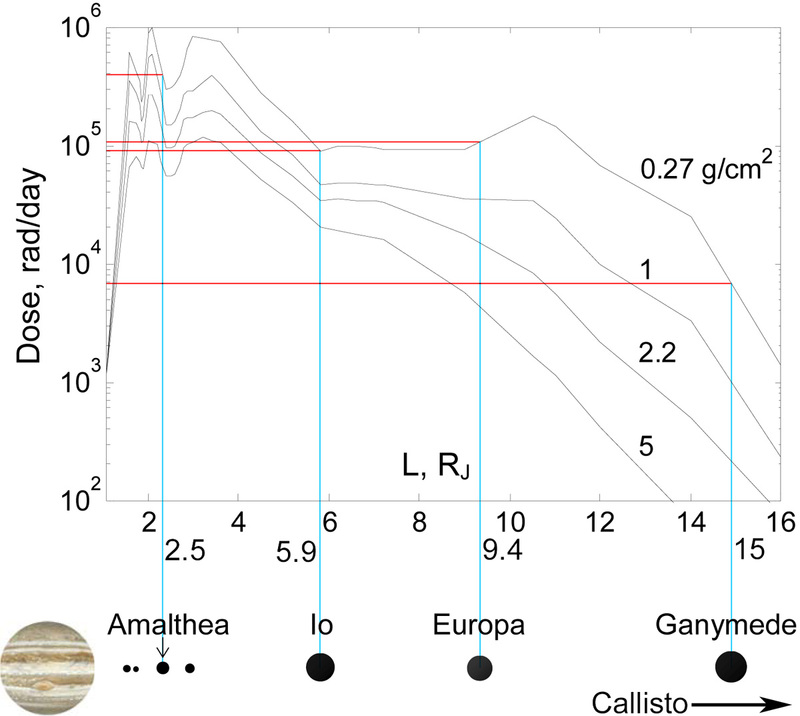 Ganymede is also a fierce environment, despite radiation being much less intense than at Io. With minimal shielding, Callisto would provide a safe working environment no worse than a nuclear power plant or research facility. As ice is less dense than water, about 10% more would be required. 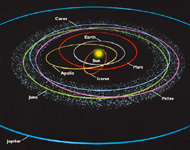 The Jupiter Trojan asteroids are composed of the Greek node at L4 and the Trojan node at L5. 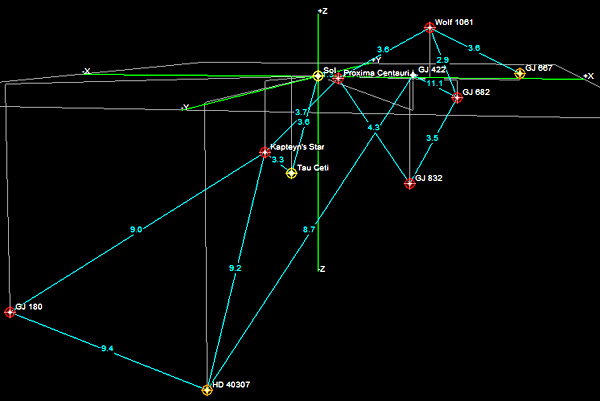 Surveys suggest that counting asteroids with a diameter of two kilometers or more, the Greek node contains 6.3 ± 1.0×104 and the Trojan node contains 3.4 ± 0.5×104. The largest trojan is 624 Hektor of the Greek node, with a average diameter of 203 ± 3.6 km. The Hilda familiy are asteroids sort of in L3. They are actually in a 3:2 mean-motion resonance with Jupiter. There are about 1,100 known asteroids in the familiy, with the largest being 153 Hilda with a diameter of 171 km. 153 Hilda is a carbonaceous asteroid. Nitrogen for fertilizer from Saturn's atmospheric ammonia. Nitrogen for fertilizer from Titan's Atmosphere. The stratosphere is 98.4% nitrogen, the only dense nitrogen-rich atmosphere in the Solar System outside of Terra. According to Robert Zubrin, terraforming Mars could require large crashing ice asteroids onto its surface. The farther out the asteroid's orbit is from the Sun, the less delta V is required to re-direct it to Mars impact. 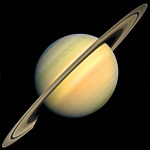 Saturn would do nicely. Most of the ring fragments are solid ice, and Saturn is quite far from the Sun. And you can be quite sure that the Spaceguard will closely monitor the operation. Titan Space Plastic using the hydrocarbon seas as feedstock. 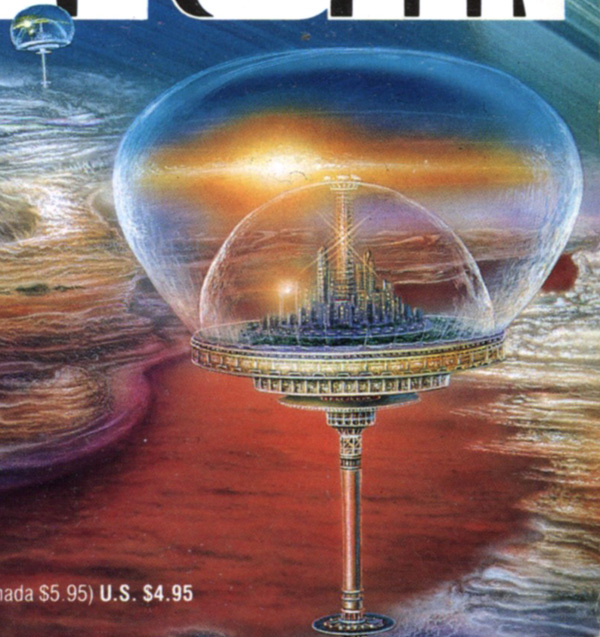 From an author's standpoint, civilization in Saturn's rings would resemble a classic Niven-like "Belter" asteroid civilization. According to Jerry Pournelle in a gas giant's system of moons, Hohmann delta V requirements are quite reasonable. This contrasts with the excessive Hohmann requirements for, say, travel among the asteroids. Crude NERVAs using various ices as reaction mass work just fine. Indeed, in the outer moons, a backyard kerosene rocket will do. Most of the Saturnian moons are almost entirely composed of ices so there is plenty of reaction mass for a fleet of ships. Gas giants are also pretty far away from Terra, to encourage wars of liberation and local autonomy or other entertaining events that ordinarily Terra would put a stop to. While Jupiter is closer, it also has a nasty radiation belt. Saturn doesn't. Saturn's radiation belt is far weaker than Jupiter's blue glowing field of radioactive death, being more on par with Terra's Van Allen belt. This would mean that the various moons of Saturn could be independent nations, fighting each other over "whatever" without having to worry about interference from Terra. From an author's standpoint, Saturn and its moons have all sorts of anomalous weird features that can be inspirations for novels and short stories. Titan is the huge moon of Saturn with at atmosphere even denser than Terra. A person cannot breath it since it is 98.4% nitrogen, but that atmosphere makes it about an order of magnitude easier to establish a colony compared to, say, Mars. With respect to Mars the main drawback to Titan is the longer transit time for the colonist with the accompanying increased radiation exposure. 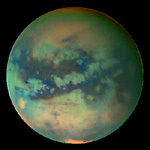 Denser atmosphere than Terra (surface pressure 1.45 atm) makes Titan easier to colonize than Mars or any airless moon. High pressure makes construction easier, and the atmosphere provides plenty of radiation shielding from cosmic rays. 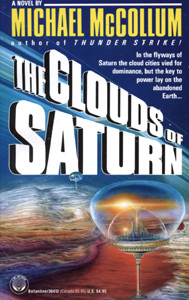 Examples of colonizing Titan in science fiction include Imperial Earth by Arthur C. Clarke, Bio of a Space Tyrant series by Piers Anthony, Titan by Stephen Baxter, 2312 by Kim Stanley Robinson, and Saturn and Titan by Ben Bova. The paper Energy Options for Future Humans on Titan has some interesting possiblities. Radiogenic argon in Titan's atmosphere indicates the moon contains radioactive ores. Unfortunately current planetary models indicate such ores are buried under hundreds of kilometers of ice and water. But they are there if the colonists get desperate. While the atmosphere contains methane and it rains ethane into the hydrocarbon seas, the sad fact of the matter is there is no oxygen to burn with these fuels. Electrolysis can produce oxygen, but more energy is needed for that than you will get from hydrocarbon burning. A net loss of energy, so what's the point? Oxygen can also be produced by growing plants, but natural plant photosynthesis is so inefficient it will still be a net loss. Unless you do some serious genetic engineering on the plants. More promising is the fact that Titan's atmosphere is almost 0.2% hydrogen, and there are traces of acetylene. These can be extracted from the atmosphere using low energy methods. The hydrogenation of acetylene is a splendidly exothermic reaction that produces 376 kJ/mole of energy. If the acetylene is too scare, it is possible to produce the stuff by the pyrolysis (heat it up real hot, 1000°C) of the abundant atmospheric methane (1.4%). This takes energy, but less than the energy produced by hydrogen-acetylene reactions. It is also possible to hydrogenatize nitrogen into ammonia. This only produces a paltry 92.4 kJ/mole of energy. On the other hand the atmosphere is 98.4% nitrogen so you ain't gonna run out of that. Both gases can be easily extracted from the atmosphere with low energy methods. And 92.4 kJ/mole of energy is far better than nothing. Titan has abundant lakes and seas of methane/ethane which can be turned into hydropower (methanopower?) with just a dam, a turbine, and a generator intercepting the flow downhill. The main problem is the lakes and seas are in the polar regions, and they are apparently topographically lower than Titan's lower latitudes. Neither water nor methane will flow uphill, not when they are liquid at any rate. There might be some spots where it will work but it will require much more high-resolution topographical data that we currently have. If not, the topography may have to be adjusted, say with a few precisely sited nuclear explosives. The report gives an equation for hydropower power generation, given density of the fluid, gravitational acceleration, flow rate, height difference, and efficiency of the turbine. 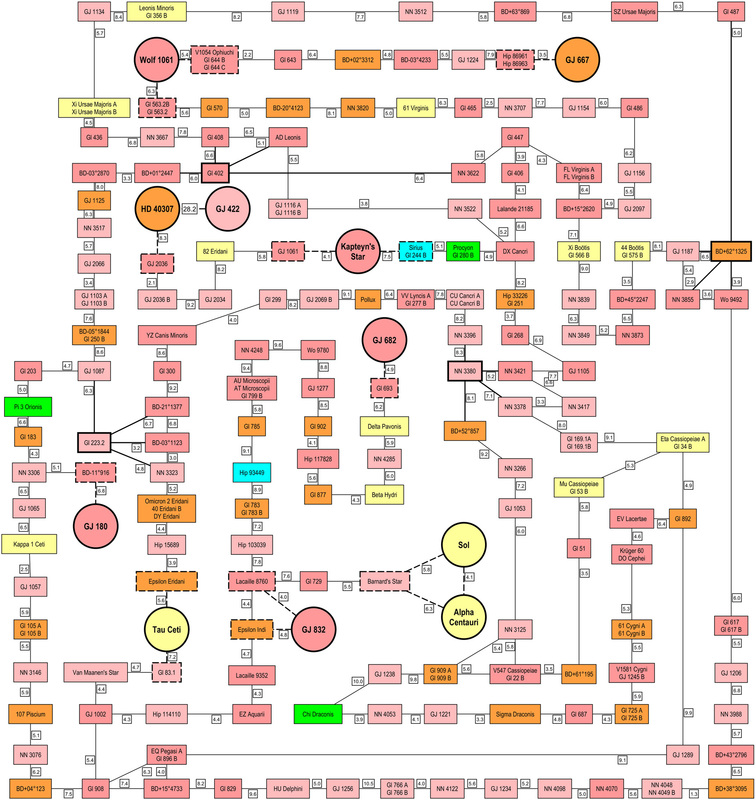 Assuming an efficiency of 0.85 and a height of 145 meters, a Terran hydropower system will produce 97 megawatts while a Titan methanopower system will produce about 9 megawatts. If the Terran system was fed by Lake Superior (with it never being replenished) it would produce 1×1019 Joules total energy over 3,450 years. If the Titan system was fed by Kraken Mare it would produce about 4.6×1019 J total energy over 242,580 years. Titan's atmospheric density is five times higher than Terra (good for wind power) but the average winds speeds are about 0.025 of Terra (bad for wind power). At Titan's ground level wind speeds average 0.5 to 1.0 m/s, while on Terra they are more like 20 m/s. The report gives an equation for wind power generation. Assuming a turbine rotor diameter of 90 meters, a Titan windwpower plant would produce a meager 3.2 kilowatts while the same plant on Terra would produce more like 5,000 kilowatts (5 megawatts). Titan's wind speeds are about 2 m/s at an altitude of 3 kilometers, and 20 m/s at an altitude of 40 kilometers. If you had your windpower plant on a blimp or a tethered balloon the plant would crank out hundreds of megawatts due to Titan's denser atmosphere. Solar power on Titan is savagely punished by the tyranny of the Inverse Square Law, but it is still viable. Barely. Since Titan's distance from Sol varies from 9 to 10 astronomial units, the solar flux reaching Titan is from 1/81th to 1/100th of what reaches Terra. Another annoying aspect is the steady drizzle of tholin crap raining down on the solar panels. This reddish-brown sticky mess will have to be periodially scraped off. Tholins are the reason Titan's atmosphere is orange and murky. At the top of Terra's atmosphere the average solar energy is about 1,400 J/m2-s, Titan gets 14 to 17 J/m2-s depending on its current distance to Sol. Titan's atmosphere transmits red and near infrared light but absorbs blue light, about 10% of the solar flux makes it to the surface (1.4 to 1.7 J/m2-s). Amorphous silicon or cadmium telluride photovoltaic cells are best for this spectrum, they have an efficiency of 13% to 20% but their performance at Titan temperatures is unknown (the report conservatively estimates it to be 10%). And for low to mid latitudes the sun will be up for 1/3rd of a Titan day (not counting seasonal variations or eclipses by Saturn. Not to mention cloud cover and ethane rain). As an example the researchers assumed that the Titan colonists consume 1.4×1019 J/year (about the same as the United States). To meet this need with solar power would require 8×1012 square meters of panels, about 89% of the surface area of the US, but only 10% of Titan's total surface area. Jupiter's moon Io has a heat flux of 2.25 W/m2, but poor Titan only has 0.005 W/m2. Presumably more power could be obtained from a geothermal hot spot but so far none have been detected. For a while now, there's been a debate in the US over how to direct NASA's next major human spaceflight initiative. Do we build an outpost on the Moon as a step towards Mars, or do we just head straight for the red planet? Which ever destination we choose, it'll be viewed as the first step toward a permanent human presence outside of the immediate neighborhood of the Earth. All of that indecision, according to a new book called Beyond Earth, is misguided. Either of these destinations presents so many challenges and compromises that attracting and supporting anything more than short-term visitors will be difficult. Instead, Beyond Earth argues, we should set our sights much farther out in the Solar System if we want to create a permanent human presence elsewhere. The authors' destination of choice? Titan, the largest moon of Saturn. Colonizing Titan seems like an outrageous argument, given that the only spacecraft we've put in orbit around Saturn took seven years to get there. Why should anyone take Beyond Earth seriously? Well, its authors aren't crackpots or mindless space fans. Amanda Hendrix is a planetary scientist who's worked at the Jet Propulsion Laboratory and the Planetary Science Institute. For the book, she's partnered with Charles Wohlforth, an environmental journalist who understands some things about establishing a livable environment. And the two of them have conducted extensive interviews, talking to people at NASA and elsewhere about everything from the health complications of space to future propulsion systems. The resulting book is a mix of where we are now, which problems need to be solved to make a home elsewhere, and a future scenario that drives us to solve those problems. In this sense, Beyond Earth is a bit like the recent National Geographic effort Mars, which blended present-day documentary with a fictionalized future. But the book is a little easier to swallow then the miniseries, which shunted viewers between footage of real-life rockets and CGI dust storms. So, why Titan? 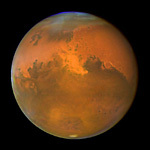 The two closer destinations, the Moon and Mars, have atmospheres that are effectively nonexistent. That means any habitation will have to be extremely robust to hold its contents in place. Both worlds are also bathed in radiation, meaning those habitats will need to be built underground, as will any agricultural areas to feed the colonists. Any activities on the surface will have to be limited to avoid excessive radiation exposure. Would anyone want to go to a brand-new world just to spend their lives in a cramped tunnel? Hendrix and Wohlforth suggest the answer will be "no." Titan, in contrast, offers a dense atmosphere that shields the surface from radiation and would make any structural failures problematic, rather than catastrophic. With an oxygen mask and enough warm clothing, humans could roam Titan's surface in the dim sunlight. Or, given the low gravity and dense atmosphere, they could float above it in a balloon or on personal wings. The vast hydrocarbon seas and dunes, Hendrix and Wohlforth suggest, would allow polymers to handle many of the roles currently played by metal and wood. Drilling into Titan's crust would access a vast supply of liquid water in the moon's subsurface ocean. It's not all the comforts of home, but it's a lot more of them than you'd get on the Moon or Mars. There is the distance thing, which Hendrix and Wohlforth acknowledge, but they argue it's a bit besides the point. 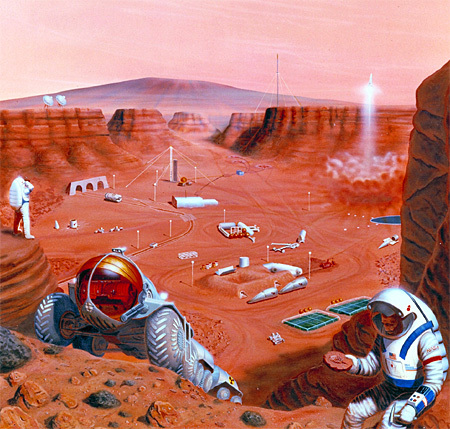 The radiation and lack of gravity that make long-range space travel a risk would all bite anyone we sent to explore Mars. NASA assumes it'll find solutions, but the authors are critical of the Agency promoting a journey to Mars without already having solved them. Whether we go to Mars or Titan, the solution is speed: less time in space means less risk. And, if we could rocket along fast enough so that a round-trip to Mars with time spent exploring was safe, then we could do a one-way trip to Titan. So, Beyond Earth is a good look at the current state of human space-exploration technology, as well as how that will hold us back from doing the things we want to do. It's both thoughtful and thought-provoking. The Earth's governments bands together in a massive effort to send colonists to Titan, who almost immediately begin to view themselves as pioneers who boldly settle a new world with no help from anyone. Tensions and cultural differences ensue. This part of the book is a fun yarn, and plenty of it involves believable extrapolations from our current state. Whether it adds to Beyond Earth overall will probably be a matter of personal taste. While the focus of the book is on leaving Earth, it's hard to escape the sense that Beyond Earth is an extensive argument for staying put. As Hendrix and Wohlforth repeatedly drive home, there's no place we could go in our Solar System that offers anything close to what the Earth provides for us. Going anywhere else would involve a cost that could go a long way toward making our existence here much more sustainable. While I'm all for eventually establishing a presence elsewhere, it would be nice to do so by choice, rather than end up being forced to do so due to our carelessness on Earth. Then, out of that silence, came something new. It was faint and distant, yet conveyed the impression of overwhelming power. First there was a thin scream that mounted second by second in intensity, but somehow never came any closer. The scream rose swiftly to a demonic shriek, with undertones of thunder—then dwindled away as quickly as it had appeared. From beginning to end it lasted less than half a minute. Then there was only the sighing of the wind, even lonelier than before. But like all healthy ten-year-olds, Duncan was resilient. The magic had not been destroyed. Though the first ship had lifted from Earth three centuries before he was born, the wonder of space had not yet been exhausted. There was romance enough in that shriek from the edge of the atmosphere, as the orbiting tanker collected hydrogen to power the commerce of the Solar System. In a few hours, that precious cargo would be falling sunward, past Saturn’s other moons, past giant Jupiter, to make its rendezvous with one of the fueling stations that circled the inner planets. It would take months—even years—to get there, but there was no hurry. As long as cheap hydrogen flowed through the invisible pipeline across the Solar System, the fusion rockets could fly from world to world, as once the ocean liners had plied the seas of Earth. Duncan understood this better than most boys of his age; the hydrogen economy was also the story of his family, and would dominate his own future when he was old enough to play a part in the affairs of Titan. It was now almost a century since Grandfather Malcolm had realized that Titan was the key to all the planets, and had shrewdly used this knowledge for the benefit of mankind—and of himself. Malcolm Makenzie had been the right man, at the right time. Others before him had looked covetously at Titan, but he was the first to work out all the engineering details and to conceive the total system of orbiting scoops, compressors, and cheap, expendable tanks that could hold their liquid hydrogen with minimum loss as they dropped leisurely sunward. Back in the 2180s, Malcolm had been a promising young aerospace designer at Port Lowell, trying to make aircraft that could carry useful payloads in the tenuous Martian atmosphere. When he had finished his calculations and stolen enough drafting-computer time to prepare a beautiful set of drawings, young Malcolm had approached the Planning Office of the Martian Department of Transportation. He did not anticipate serious criticism, because he knew that his facts and his logic were impeccable. 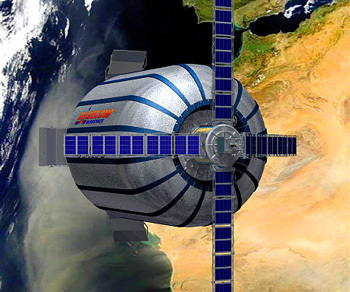 A large fusion-powered spaceliner could use ten thousand tons of hydrogen on a single flight, merely as inert working fluid. Ninety-nine percent of it took no part in the nuclear reaction, but was hurled from the jets unchanged, at scores of kilometers a second (exhaust velocity of 20,000 m/s or more, egads! ), imparting momentum to the ships it drove between the planets. Of course, Jupiter and the other Gas Giants possessed unlimited quantities of the vital element, but their gravitational fields guarded it more effectively than any unsleeping dragon, coiled round some mythical treasure of the Gods. In all the Solar System, Titan was the only place where Nature had contrived the paradox of low gravity and an atmosphere remarkably rich in hydrogen and its compounds. “It’s an old problem,” his mentor had explained patiently. “In fact, it goes back to the very beginnings of astronautics, in the twentieth twentieth century. 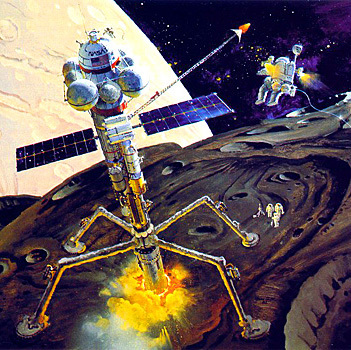 We couldn’t have commercial space flight until there were flourishing extraterrestrial colonies—and we couldn’t have colonies until there was commercial space transportation. In this sort of bootstrap situation, you have a very slow growth rate until you reach the takeoff point. Then, quite suddenly, the curves start shooting upward, and you’re in business. Harvesting Uranus' Atmosphere (including Helium 3). Nitrogen for fertilizer from Uranus' atmospheric ammonia. 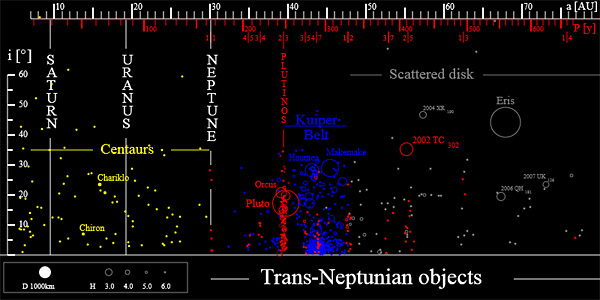 Harvesting Neptune's Atmosphere (including Helium 3). Nitrogen for fertilizer from Neptune's atmospheric ammonia. Nitrogen for fertilizer from Triton's nitrogen ice. This community lacks access to deuterium for fusion power. Instead it subsists on the thin gruel of the sunlight available at 5,000 AU (0.08 light-years). This is about 0.00000004 the solar power available at Terra. The habitats will resemble small Bernal Spheres, O'Neill Cylinders or other space habitat; except there is no need for sunlight windows. What's the point? When it comes to interstellar colonizations, the distances are so long, the delta V requirements so astronomical, and the travel times are so prolonged that you'd better be blasted sure there is actually a planet there to colonize. Excitingly the astronomical state of the art has advanced to the point where they can actually detect the presence of extrasolar planets. Currently the NASA Exoplanet Archive is listing 3,431 of the sightings as "confirmed." The Planetary Habitability Laboratory at the University of Puerto Rico at Arecibo continually studies the data, and has a small number classified as "Conservatively Potentially Habitable Exoplanets" and a larger number classified as "Optimistically Potentially Habitable Exoplanets". Please note that "habitable" means "it is not totally impossible to live there." It does NOT mean it is a tropical paradise, or even that it won't kill you if you step out of the spacecraft in your shirt-sleeves. "Conservatively Potentially Habitable Exoplanets" means very likely to be of rocky composition (instead of being a worthless gas giant) and very likely to maintain surface liquid water (instead of being permanent ice or pure life steam). 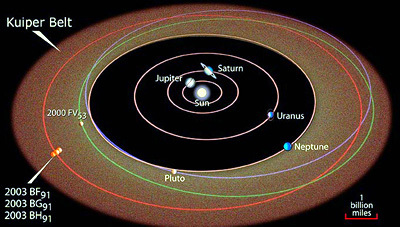 The definition of "rocky composition" is planet radius between 0.5 and 1.5 Earth radii and planet minimum mass between 0.1 and 5.0 Earth masses. The definition of "surface liquid water" is planet orbiting within the conservative habitable zone. "Optimistically Potentially Habitable Exoplanets" has standards that are a bit more lax. This means the planet is less likely to have a rocky composition and less likely to maintain surface liquid water. The definition of "rocky composition" is planet radius between 1.5 and 2.5 Earth radii and planet minimum mass between 5.0 and 10.0 Earth Masses (i.e., a "super-earth") The definition of "surface liquid water is a planet orbiting within the optimistic habitable zone. Name - Name of the planet. This links to the data of the planet at the Extrasolar Planets Encyclopaedia or NASA Exoplanet Archive. Type - PHL's classification of planets that includes host star spectral type (F, G, K, M), habitable zone location (hot, warm, cold) and size (miniterran, subterran, terran, superterran, jovian, neptunian) (e.g. Earth = G-Warm Terran, Venus = G-Hot Terran, Mars = G-Warm Subterran). 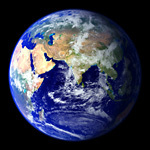 Mass - Minimum mass of the planet in Earth masses (Earth = 1.0 ME). Estimated for a pure iron, rocky, and water composition, respectively, when not available. Radius - Radius of planet in Earth radii (Earth = 1.0 RE). Estimated for a pure iron, rocky, and water composition, respectively, when not available. Flux - Average stellar flux of the planet in Earth fluxes (Earth = 1.0 SE). Teq - Equilibrium temperature in kelvins (K) assuming a 0.3 bond albedo (Earth = 255 K). Actual surface temperatures are expected to be larger than the equilibrium temperature depending on the atmosphere of the planets, which are currently unknown (e.g. Earth mean global surface temperature is about 288 K or 15°C). Period - Orbital period in days (Earth = 365 days). Distance - Distance from Earth in light years (ly). ESI - Earth Similarity Index, a measure of similarity to Earth that summarizes how similar are these planets to the stellar flux, mass, and radius of Earth (Earth = 1.0). Results are sorted by this number. Planets more similar to Earth are not necessarily more habitable, since the ESI does not consider all factors necessary for habitability. I took the stars that were closer than 13 parsecs (42 light-years) and played with the data. I tried to make some connection charts to show the direction of colonization. Note that there are about 900 known stars in this volume. 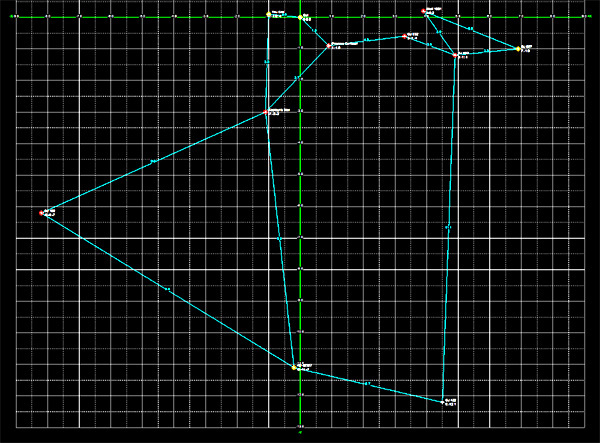 I am trying to make a baby-step map with the path between the zillions of empty stars leading to the good ones. This is going to take a while so be patient. Data massaged by a Python program I wrote, autoformatted by the amazing free software yEd, and colorized by me using Photoshop. 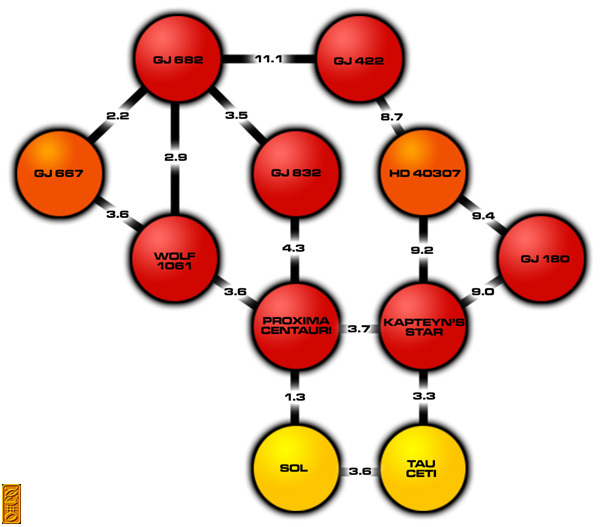 Node map displaying distance between each star and its two closest neighbors, but including the zillions of stars with no known habitable planets. Habitable planets are circles, rest are rectangles.